If you would have tried using the traditional Xposed in Samsung devices, you might have experienced random bootloops & force close after installing it. Samsung made a lot of changes to ART without providing the sources so official Xposed doesn’t provide any support for Samsung devices & clearly says, Xposed framework will cause bootloops in Samsung devices, you must try unofficial xposed builds meant for Samsung devices. If you are new to Android rooting, you might have heard people saying the first thing they install after rooting their device is Xposed framework. As Xposed gives them freedom to customize system files without installing custom ROMs. In this guide, we’ll learn How to install Xposed framework in Samsung devices without bootloops & other errors. 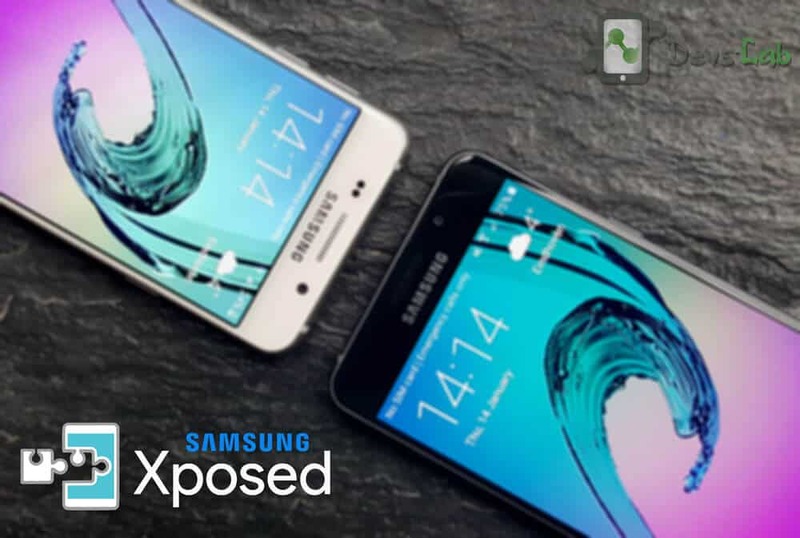 This Xposed supports all other Samsung devices (GS5, Note 4/5, GS6E, GS6E+…) running Touchwiz Android Lollipop, Marshmallow, Nougat and Oreo. Now what exactly is Xposed framework? Xposed framework uses root access to directly access core Android resources and utilize them to run different modules on the device that bring new features to the OS. The potential here is virtually unlimited, and many developers have already started switching to it for delivering their mods. So, how do you get the framework on your device? For devices other than Samsung, you can follow this method: How to install Xposed framework & Installer. Now lets learn about installing Xposed in Samsung devices. We’ll install unofficial Xposed in Samsung devices. Now, this unofficial Xposed version does NOT break support for any other device supported by official Xposed, which means it still support all devices supported by the official one, this version adds Samsung and XZ compressed odexes support. Disclaimer: Please follow this guide at your own risk. Devs-Lab won’t be held responsible for any bricked devices. We have tested this method in some our devices & it works perfectly fine. You must have a Rooted Samsung Smartphone. (What is Rooting?). A Custom Recovery like TWRP/CWM. (Optional) Backup all your data & Apps before flashing the Xposed framework file to avoid data in case anything goes wrong or your device doesn’t boot up. Step 1. After Android Kitkat, one cannot install Xposed directly i.e just an APK. You first need to flash the Xposed framework. Similarly, we first have to flash Xposed framework in our Lollipop/Marshmallow device. Step 2. Download the given files at the end of the post & transfer it in your Internal memory/SDcard. Step 3. Now Switch off your device. Press & hold the required key combinations. For devices having hardware keys, the key combination is mostly Vol Up+home+Power button to boot into Recovery mode. Step 4. After booting into recovery mode, Goto Install zip from SDcard (in CWM) or Install (in TWRP) & locate the Xposed framework file that you transferred in your device. Step 5. Select the zip & Install. Wait for the Installation to complete. Step 6. Now, Wipe Dalvik & System cache. Reboot your device. Just Goto Settings App > Security > Enable Unknown sources. Now install the Xposed app. Step 8. To check if everything is done perfectly, launch Xposed App & goto Framework. It would show app_process and Xposed Bridge with some no. below Active. For Android Lollipop 5.0, you first need to deodex your ROM. You can follow this procedure, to deodex your ROM. After this, you can flash the Xposed Framework files given below, make sure to flash the proper files depending on your smartphones processor (Snapdragon/Exynos). Don’t know what to choose? Don’t worry, it won’t break your device if you install a wrong one. If you install a wrong one, the installer will simply tell you that you should go with the other version. How to Install Systemless Xposed on Android to receive OTA updates.